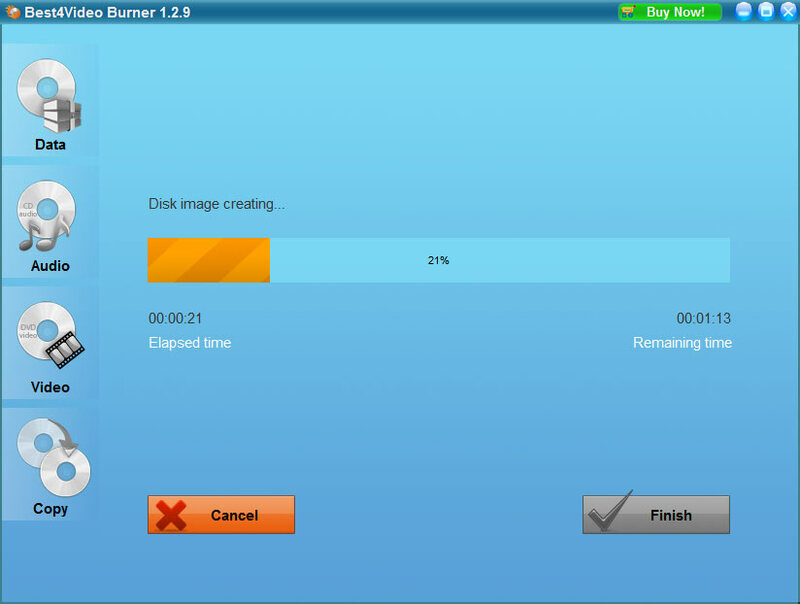 Best4Video Audio CD Burner is a powerful software able to create Audio CDs quickly and easily. With its help you will be able to burn your favorite music to CD and enjoy it on any compatible device. It supports a wide range of popular audio formats, allowing to burn Audio CDs from MP3, WMA, WAV, and other audio files. Clear interface of the program provides a straightforward access to all its features, making Best4Video Audio CD Burner extremely easy to use. You will be able to burn your Audio CD with just a couple of mouse clicks, and due to the high burning speed you will not spend much time for it. With Best4Video Burner you will enjoy perfect quality Audio CDs with minimum time and effort expenditure. Burns Audio CDs. Just create a CD with your favorite songs and enjoy them on any compatible device. Supports all popular audio formats, including MP3, WMA, WAV, etc. High performance capabilities. All audio discs regardless of their size or content type are burned with high speed and perfect quality. Customizable settings. Choose output settings according to your own needs and preferences. User friendly interface. Clear and handy interface of Best4Video Audio CD Burner provides an easy access to all its features which makes it very convenient to use. Best4Video Audio CD Burner will be a perfect solution for those who are looking for a fast, simple, convenient, and reliable way to burn Audio CDs of perfect quality. Try Use4video DVD Ripper tool during a trial period to know better the power of this useful tool for those who want to convert their dvd.